Hello! Thank you for your supportive comments about my knitting. I really appreciate it. I've wanted to get it right for years - I started trying before we had our kids! - and I'm so happy to finally be managing some of the basics. I have many of you to thank for the wonderful inspiration you provide on your blogs and with your beautiful projects. Someone suggested finding a group on Ravelry to help with my nascent knitting skills. I've found one which looks promising, called Newer Knitters. Join me over there if you think it could help you too! I have some exciting news! I'm today's featured blog in the Albuquerque Bloggers Series on Deme's wonderful blog, House for Five. 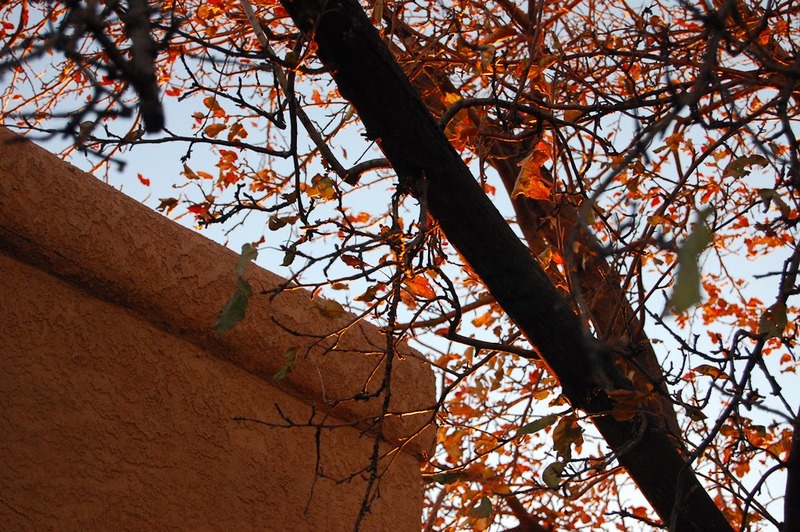 I came across Deme's blog on Houzz recently and was delighted to see that she was based in Albuquerque. Deme blogs about her home and family, as well as the many inspiring DIY projects they have tackled. I soon learned that they had moved to Ohio right before I discovered her blog and I was sorry to have just missed her, but it was great to connect with her and to see our city through her eyes. Deme noticed the dearth of Albuquerque-based home/lifestyle/DIY blogs and she decided to put together a blogger series featuring the few like-minded bloggers who live in our city. A couple of weeks ago, she invited us to take part in the series and I was so excited! It's important to me to highlight the best aspects of life here and to make the most of the great things our city has to offer. This is my first time being featured this way and I had a lot of fun preparing, by answering Deme's interview questions. It was fun to participate, and to connect with other local bloggers. I really appreciate the opportunity. Congratulations on the knitting and being featured on the blog. I can attest to how wonderful it is to make friends from the blogging world. I just wish I lived a bit closer to Portland, OR so I could see the "girls" more often. I'll pop on over there and check your interview out. Congrats on the feature Jennifer! Congrats on being featured Jennifer! It's nice to see your blog getting some well-deserved attention! Congratulations on being featured! It was a great post and showed what you are about very well. How exciting for you, Jennifer! Congratulations!! I'm heading over to the blog now (and there's every chance that I'll add it to my blog-reading list). I'm sure the newer knitters group on Ravelry will give you all sorts of help that you might need and knittinghelp.com has lots of videos that cover most knitting techniques you might need. Congratulations from me too on your feature in the series. I'm not at all surprised that you're delighted. I'd be jumping out of me skin too if I was you!! Great job Jennifer, that is so exciting. Read your article...you were the bomb! awesome! It's lovely to see your own city through another's eyes isn't it? Helps us to appreciate things we might have over looked. :) Congratulations on being featured! Well done on the knitting too! I was fortunate that I learned to knit before I learned to crochet. It's great to be able to switch from one to the other but I'm not very patient learning new skills so I don't tackle anything too complicated. I like the way crochet grows very quickly and on the other hand I love the small neat rows of knitting! Good luck on your new knitting journey, that baby blanket looks gorgeous! That's so great Jennifer!I'm happy for you!Yoyr knitting work is also lovely and nice shades! Brilliant . I know your post will be great. You must be uber chuffed. Many congratulations on your featured blog Jennifer. I've just popped over there and loved your interview. How lovely this blogging community is - I love that we are all like-minded people who enjoy sharing and caring for each other. Well done you. Just found your blog....looking forward to following! Hi from a fellow Albuquerque blogger! I'm so happy to have found another one! Hope you are having a great week! Wow, what fun, Jennifer. I've enjoyed reading your interview.